BPA free and safe for food contact. Helps children to learn self-feeding. Easy grip for small hands to hold. Gentle on baby's skin and creates no problem while using. Blunt edges for injury protection. soft tip. cant be steam sterilized or boiled. 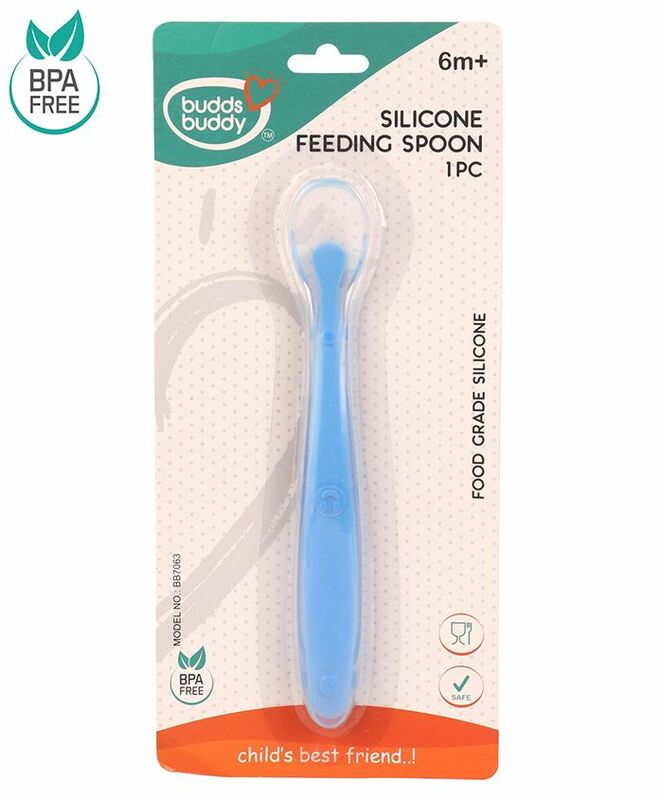 "Very helpful during baby weaning"
I was really worried how would I start feeding my baby once she turned 6 months. using a small Steel spoon would hurt as she always used to shake her hand or her head. but this spoon is very gentle for babys gums and also grip is quite good. very helpful. go for it !! Its soft for baby and great for teething baby’s as they chew on the spoon without it hurting them.